Hey there Firestorm Fans! I hope you are enjoying this blog as much as I’m enjoying putting it together. This is never going to be one of those sites that thousands of people visit each day. This is really just a labor of love for me, and I’m fine with that. However, since you are kind enough to come around here once and a while, I was wondering what you thought of the place. I’m looking for feedback from readers of FIRESTORM FAN.com. 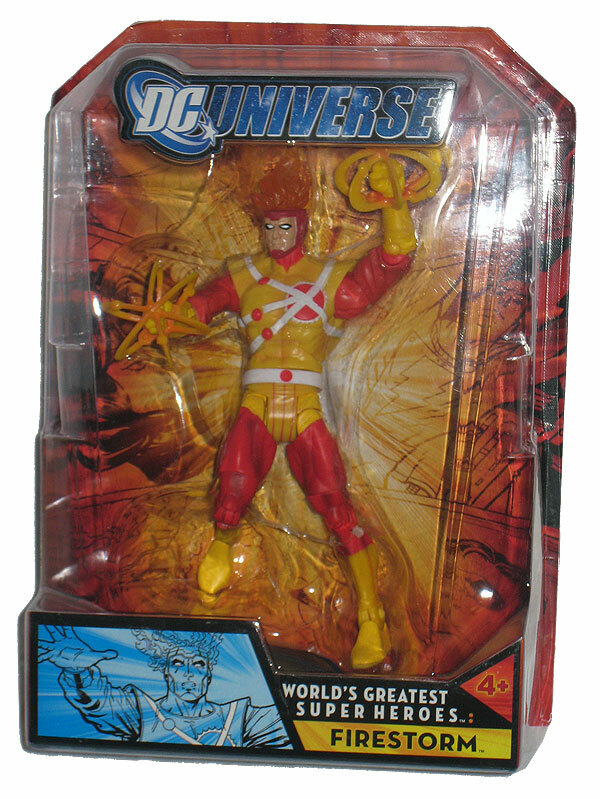 The incentive is one lucky respondent will win the Mattel DC Universe Firestorm action figure shown below absolutely free, compliments of Mail Me My Comics.com. This fantastic Ronnie Raymond/Firestorm figure looks great and normally retails for around $15. What I’m looking for is specific feedback about what you’d like to see more of here at FIRESTORM FAN. Even if you are not interested in winning the action figure, your feedback would still be appreciated. In order to be eligible to win the Mattel DC Universe Firestorm action figure, you must e-mail me at shag@onceuponageek.com before the end of the day on Tuesday, August 25th. I’ll collect all the responses. If you’ve provided honest and genuine feedback, you’ll be entered into the drawing. I will then randomly draw the winner from those eligible. That person will win the free Mattel DC Universe Firestorm action figure! There is only one Mattel DC Universe Firestorm action figure being given away during this contest. You may only enter the contest once and must provide a legitimate e-mail address (so I can reach you if you win). I’m sure there are some loopholes in my contest guidelines listed here. Just keep in mind if you’re a “rules lawyer” and find some loophole, I’ll be following the spirit of the contest, not the letter of it. That’s it. Just let me know what you’d like to see more of here at FIRESTORM FAN, and you’re eligible to win the action figure above. Special thanks to the folks over at Mail Me My Comics.com for providing the prize for this contest.